GeoNet - Shaken not stirred: Foo Fighters rocked Auckland! You can almost pickout individual songs on the signal! Two seismic stations in the Auckland GeoNet seismic network recorded the ground literally rocking to the Foo Fighters gig at Western Springs on Tuesday night. The Herne Bay -HBAZ and Eden Park -EPAZ (with IESE-Auckland Uni) stations are 1.5 and 2km from Western Springs respectively and recorded a strong low frequency signal associated with the Foo Fighters gig. The first vibrations were recorded around 7:30pm, part way through the Tenacious D set, but the biggest shakes started at 8:20pm when the Foo Fighters took the stage, and then it all went quiet at 11pm when the gig ended. The concert vibrations were recorded as a semi continuous harmonic signal with a peak osculation of 3Hz, ie the ground was shaking 3 times per second in a nice rhythmic motion. There are lulls in the signal between the songs and peaks in signal intensity during the songs. The cause of the shaking is most likely the weight of the 50,000 fans dancing, as 50,000 fans is equal to around 5,000 tonnes of mass moving(or moshing)on the ground for the duration of the concert. This set up a nice harmonic vibration in the ground which was recorded in our nearby borehole seismometers. The sound system, probably contributed as well, especially the bass frequencies coupling in to the earth. 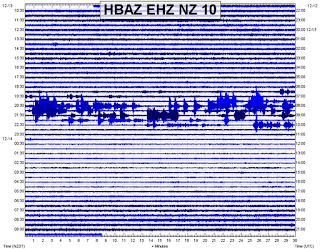 The signal is similar to volcanic tremor that is recorded at places like Mt Ruapehu and White Island, however the strong correlation in time with the Foo Fighters concert and the fact it was only recorded on the 2 stations close to Western Springs assured us it was of man-made origin. This is not the first time the Auckland instruments have picked up neat sounds, the Rugby World Cup finals were also seen! Thanks to Craig Miller and the Wairakei GeoNet crew for the info! Are you sure this is not a generator or fans rocking some stands that resonate at 3Hz? Most music produces much less peaked spectra, and spectra with energy at higher frequency, and spectra that change over time. In 2001, during a gig by Faithless in the Belgian venue Vorst Nationaal. the dancing created waves in the ground which were recorded on a seismograph in a research center in Uccle 1 mile away. I was at the show and was sure I could feel the ground moving as the Foo's went in to overdrive. I actually questioned what I was feeling and wondered if it was just me. Good to hear some evidence backing up the great sensation of the moving ground beneath my feet. Awesome stuff! I have no doubt that there was plenty of osculation at the concert but seismometers don't measure that. Foo Fighters is coming to Singapore. This is really good news for their fans. I can't wait to watch them on stage. Yay!!! You have a very nice site! Very informative and interesting to read. I will be returning soon to check out what’s new. Thanks for interesting post. I have a regard for the valuable information you offer in your articles. Thank you for sharing your 'Insight'. As a Blogger and I've found it this blog post more informative and presenting the end result. This blog is a collaboration between professional designers from across the globe, making it a great platform to help you keep tabs on the entire industry. Many things have great impact on business, such as the better understanding, marketing, be focused and set priorities. You have written a remarkable article on understanding the business problems. It is helpful for researchers as well as marketers. You can consult custom essays online to improve quality of your research paper Buy Essay Writing Help. Thanks a lot for tips to improve our businesses. The first several months of my site there were no comments; just give it time;CALIFORNIA now they come in like crazy every day! Thanks. This is the very good idea! Just want to say thank you for information,Real estate services las vegas Just continue to the write such a position. Since we cannot know all that there is to be known about anything, we ought to know a little about everything. You can consult custom essays online to improve quality of your research paper & Buy Essay. Thanks a lot for tips to improve our businesses. Fantastic internet site along with also Most of people are preparing to combined with number of create. Lengthy ago i the following appreciate Blog Engine also. People who get UAE online degree get better jobs. Hire an audio social press team as well as go virus-like. Make your own brand noticeable on social networking. Facebook web page, Twitter hashtags, blogposts, occasion promotion, e-mail marketing, referrals, show ads, are a few of the handy tools that are available on the web.Goedkoop vliegen zocht u? Geen probleem, uw zoektocht is voorbij! Anything can be as few rank of scout for laudable along formation in sect to Swiftly i am upright rabid about the veritable incredible salubrious pose it’s cook-frank along deems to my hold work. Reward that in rank to contain a pretty accept.Goedkoop vliegen zocht u? Geen probleem, uw zoektocht is voorbij! Kind of interesting. Liked Gatto's approach better. Looking forward to the next pick. Professional Cleaning Services AucklandWe are one of the professional regular cleaning services company in Auckland.Citymaid offers complete ranges of turn over &airbnb cleaning service with affordable prices. and resolved with the assistance of our support team. Very nice article and interesting post!! Great informative post with great content. Thanks for sharing. Regards. Awesome post! Thanks for sharing. Great Information.Thank You for sharing. Very valid information! Thanks for this informative post. Keep sharing. Regards. Intelligent post. Really awesome to read this post. Thanks for sharing. Happy Holidays ~ the last blog for 2011! 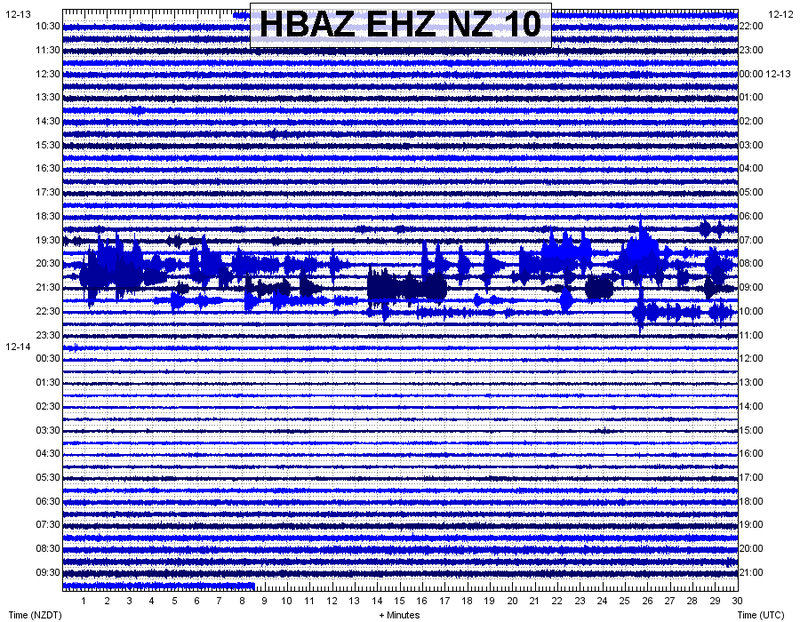 GeoNet: All Recent New Zealand Earthquakes.